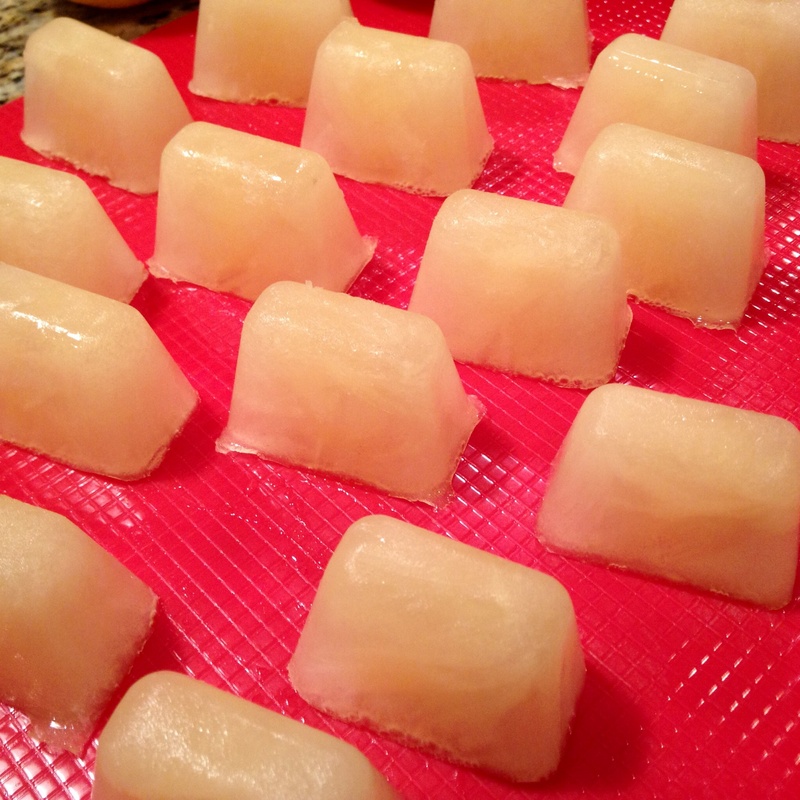 Lemon Ice Cubes – T.W.O. 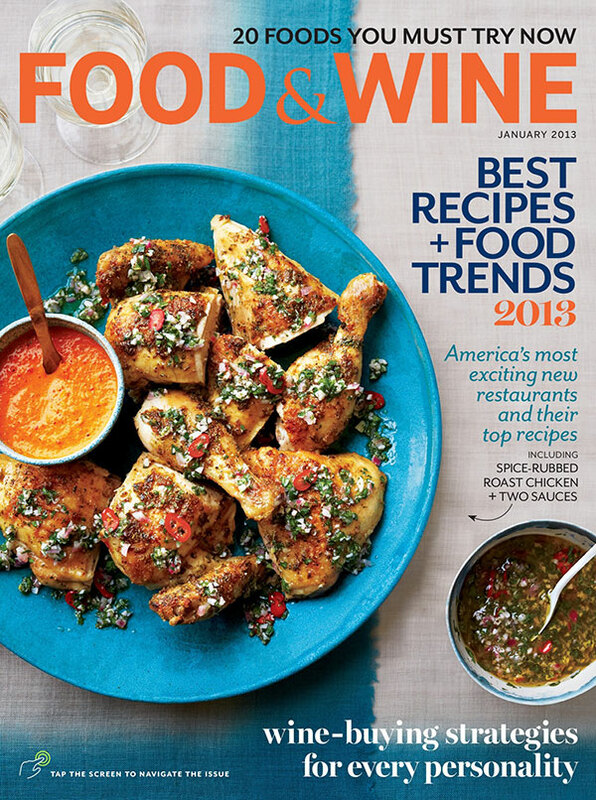 Published on January 15, 2014 January 14, 2014 by T.W.O. 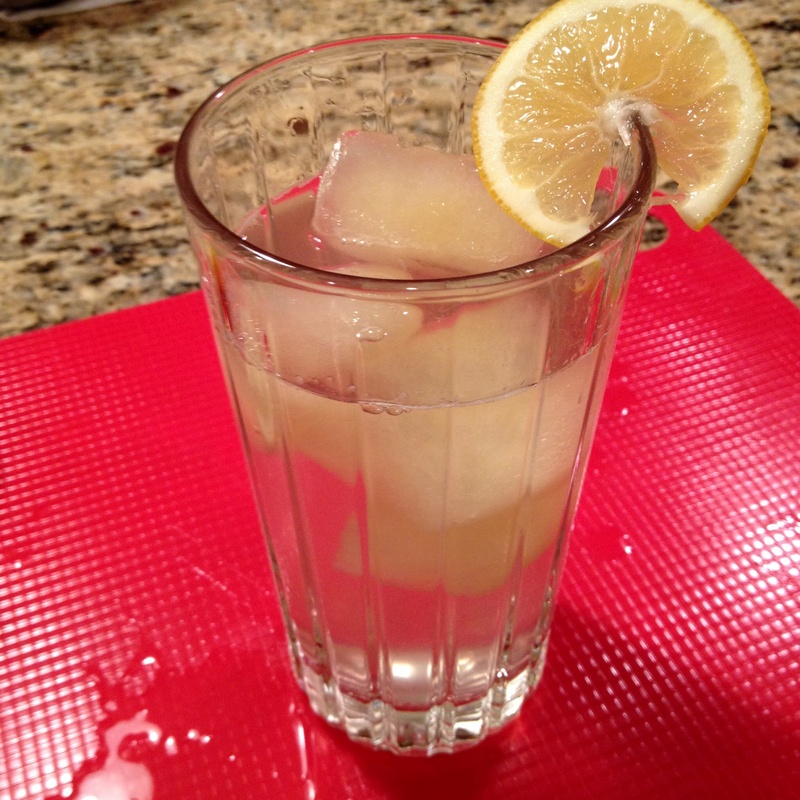 One of T.W.O.’s favorite beverages is ice water with fresh squeezed lemons. It’s refreshing, low calorie and full of nutritional benefits. Lemons help boost your immune system, aids in digestion, cleanses your system, helps you lose weight, reduces inflammation, keeps your skin blemish-free and the list goes on! With this in mind, T.W.O. decided to put our creative hats on and make it possible to have lemon water all year around- even when the tree was not producing fruit! 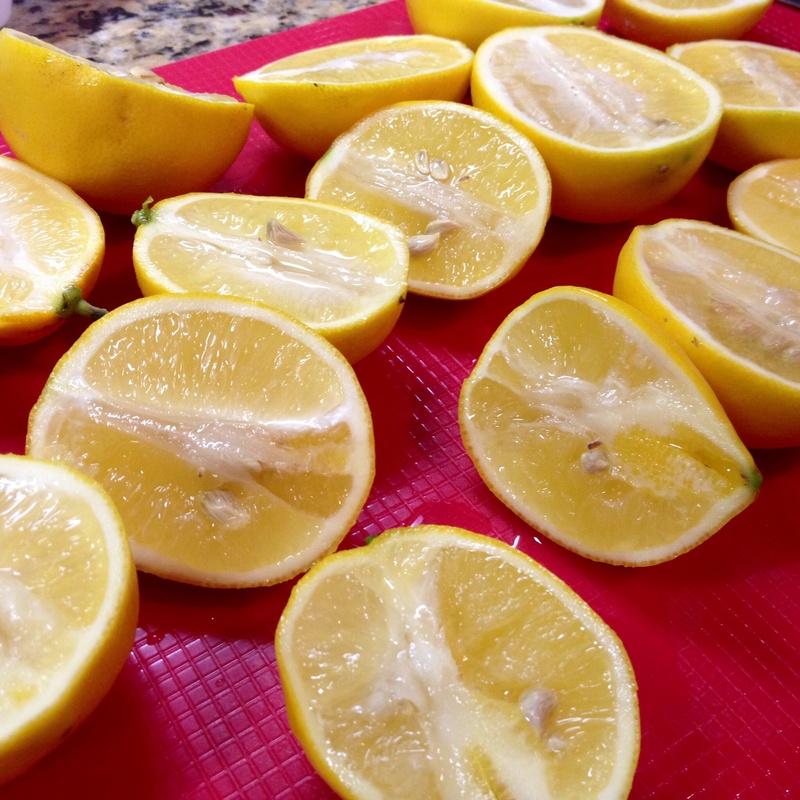 Begin by squeezing fresh lemon juice into a large pitcher, making sure to remove all the seeds. Next, add your water. 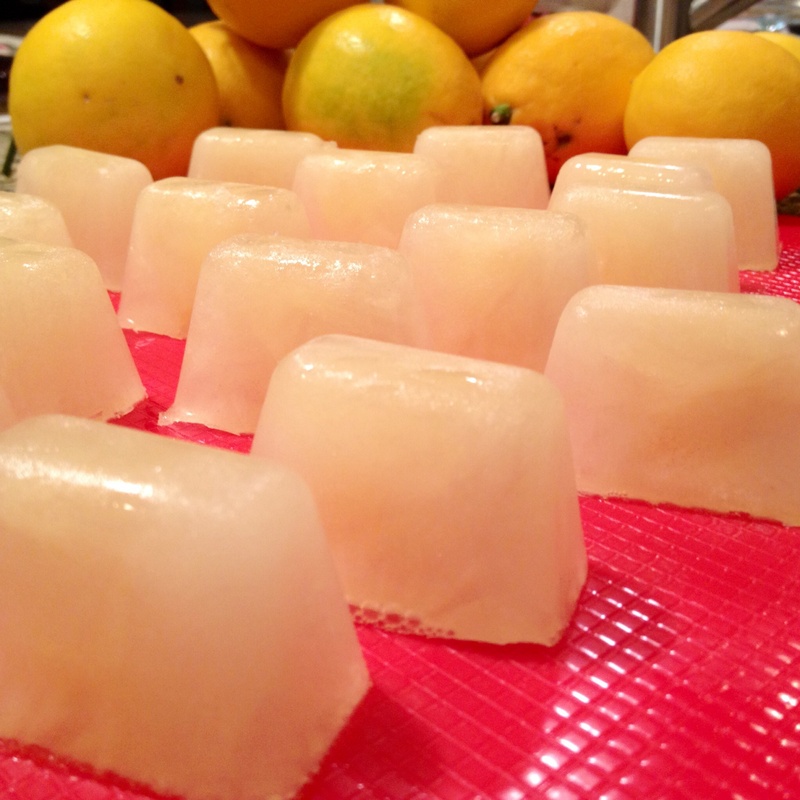 Depending on how concentrated you would like your ice cubes to be, add more, equal, or less water to the lemon juice. 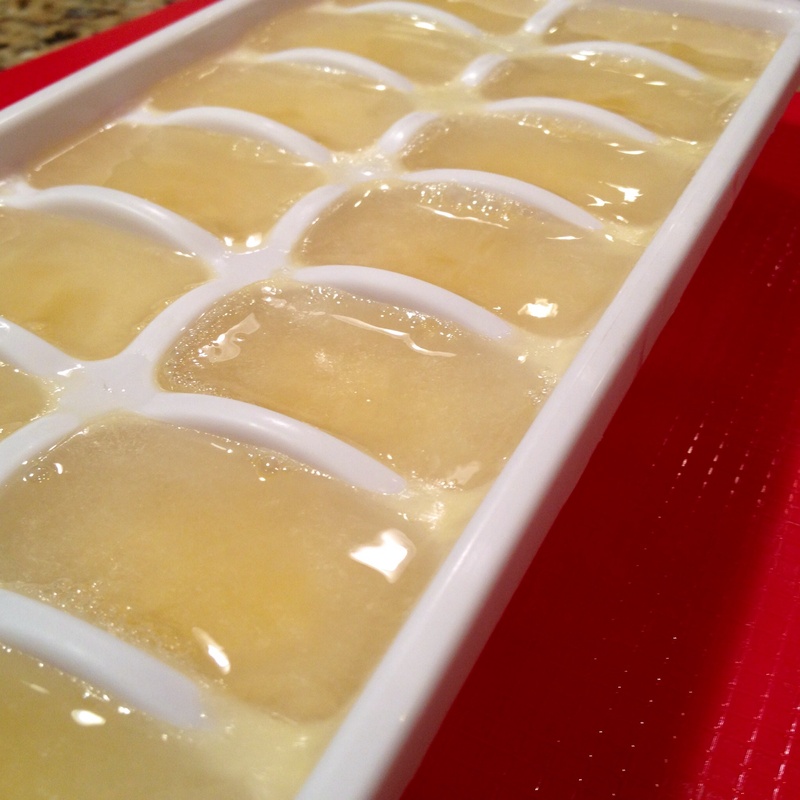 When you have your desired concentration, pour the lemon water mixture into the ice cube trays and freeze. 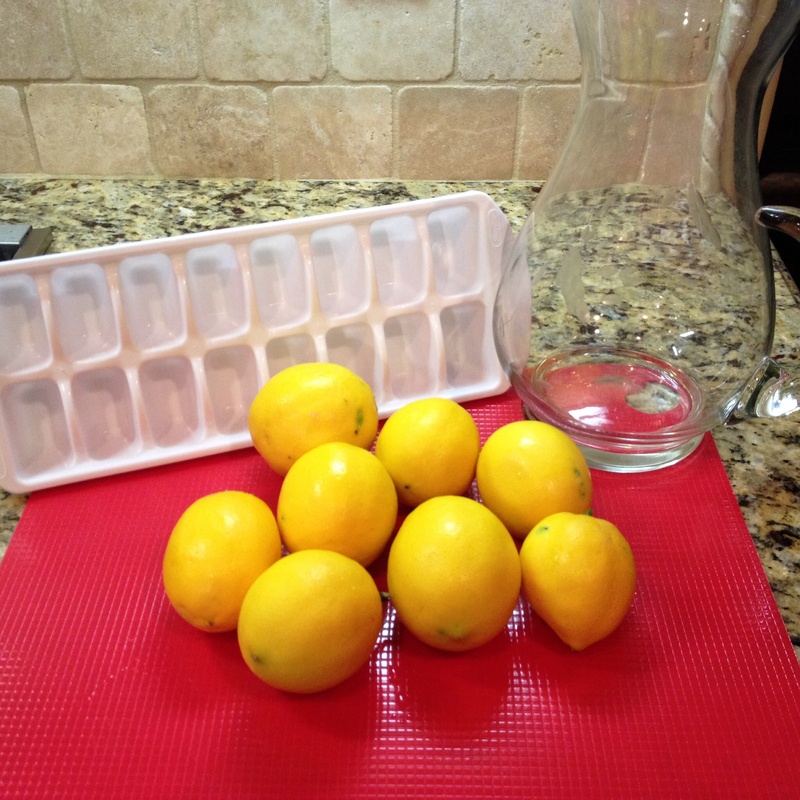 Next time you don’t have a fresh lemon to squeeze in your water, just take out an ice cube and place it into your water! Now you have your lemon water! Easy as that! When life gives you lemons, make ice cubes! Yes! Next time you have lemons, try it out! A natural cleanse!